Flat Networking Icons for PowerPoint is a collection of icons design for network integration presentations. The icons are useful for planning an information technology network and information structure. Generally, isometric networks are devices or engines that promote ways of communicating to remote components. Or building a connection to a remote server that manipulates a database. The PowerPoint contains over 15 networking isometric icons. Flat Networking Icons for PowerPoint uses flat clipart images of computer and network devices. Including Ethernet, routers, connectors, and various networking plugs. Thus, useful in presentations like isometric projection, computer network, communication, office, wireless technology, and IT Support. 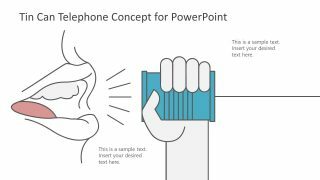 It uses vector graphic illustrations in PowerPoint. The isometric shapes are easily scalable and stackable. Hence the slides are useful to create simple network diagrams in PowerPoint. 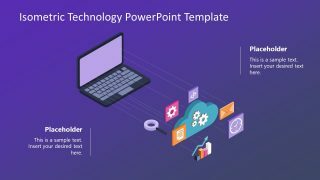 This template can, however, be integrated into this Network Diagram Template for PowerPoint. 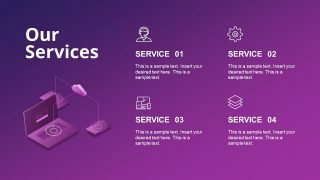 It contains network illustrations like firewalls, client servers, wireless routers, cloud, and computer systems. Also, available in dark and white template background. 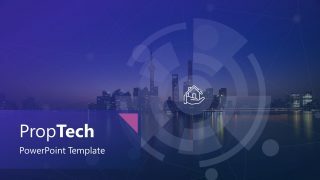 The users can utilize both templates to switch illustrations that help model any network diagram design without using a diagramming software. Hence relevant to system administrators and IT professionals. Alternatively, check the website for more stackable vectors, shapes, and more.